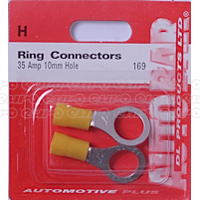 Ground the wires in your car’s electrical system with one of Euro Car Parts’ excellent-quality ring connectors. 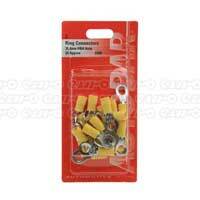 Designed to be fitted and forgotten about, they’re a great choice for any electrical job. 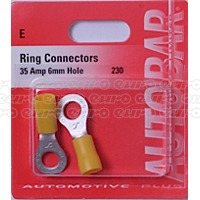 Ring connectors are an important part of your car's electrical systems, letting you ground wires including those used in the audio or lighting systems. 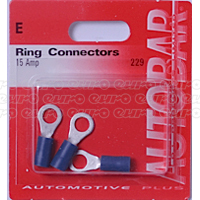 At Euro Car Parts, we have an extensive selection of ring connectors. Made for a range of amps and coming in many different sizes, whatever electronics you need to connect and ground, there’s sure to be a product in our range that is perfect for the job at hand. 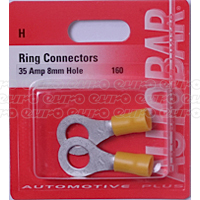 We make all of our ring connectors from sturdy materials, without compromising on affordability, so if you're looking for durable and resilient ring connectors without having to pay over the odds, look no further. All orders with Euro Car Parts come with quick delivery to any address in the UK, or you have the option to click and collect, picking up your order from your closest Euro Car Parts store – there are over 200 across Britain and Northern Ireland. 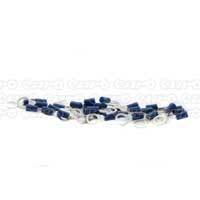 Browse the full range of ring connectors today.